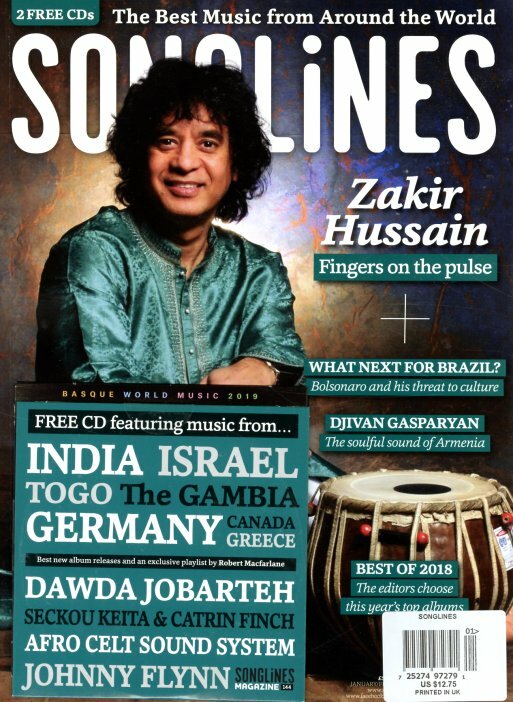 Percussionist Zakir Hussain is on the cover – in an issue that also has a compelling article on new Brazilian leader Bolsonaro, and the challenges he may present to that nation's culture! There's also a look at Armenian duduk player Djivan Gasparyan – plus articles on Celia Cruz, Dudu Tassa, and the best global albums of 2018 – with lots more reviews for plenty coming in 2019. The issue also features two bonus CDs – one that rounds up new album material and a playlist from Robert Macfarlane – the other with a feature on Basque music. © 1996-2019, Dusty Groove, Inc.